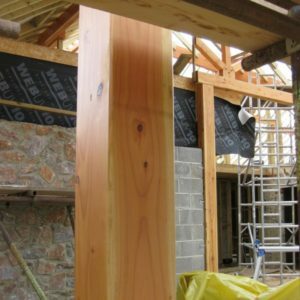 More structures seem to be requiring Glulam Laminated Timber Beams aka glulams. They are manufactured by bonding together individual laminations of solid timber. This produces a timber cross-section that is larger and longer than may normally be obtained simply by machining a standard log. 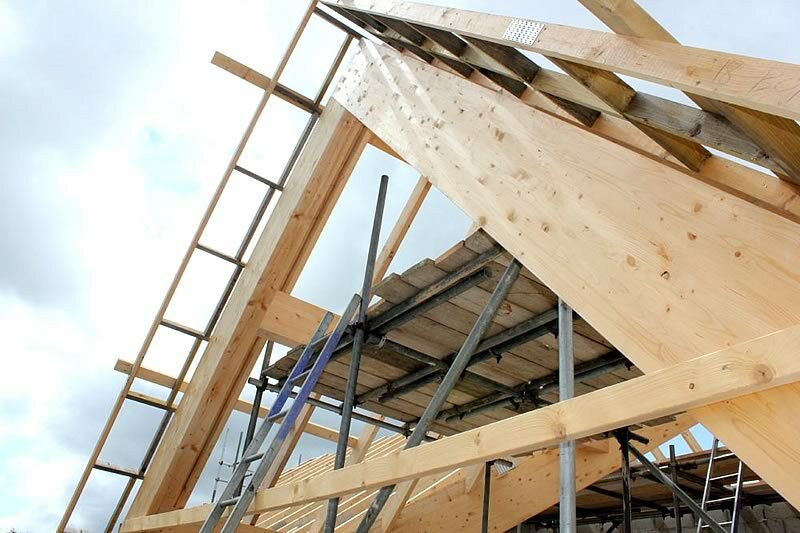 Glulam products are readily available, extremely reliable and flexible in design. 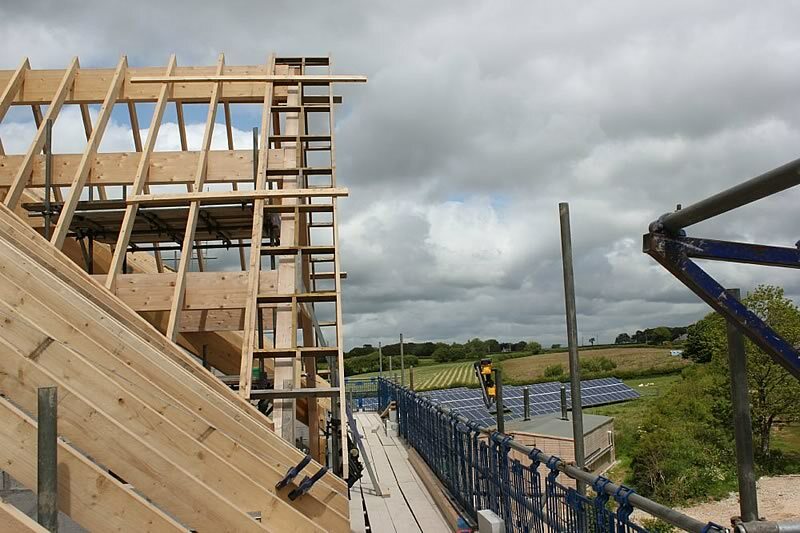 Glulam production is controlled throughout the different stages of production. 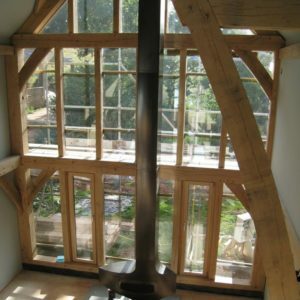 Raw materials are sourced from a specific range of suitable timber species. 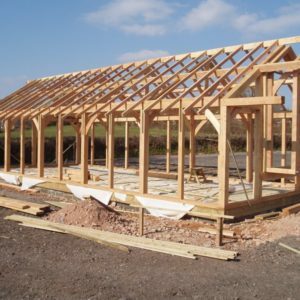 Glulam construction need timbers that meet grade requirements and capable of being bonded satisfactorily. Moisture levels are specified, additional drying may be necessary and this is usually conducted under the controlled environment of a kiln. Generally, the adhesives used for finger jointing are similar to those used for the laminations themselves, with an emphasis where possible on clear types of glue that are unobtrusive in the finished members. Strength grading methods are applied, each lamination is assigned to a solid timber or “lamination grade” strength class. 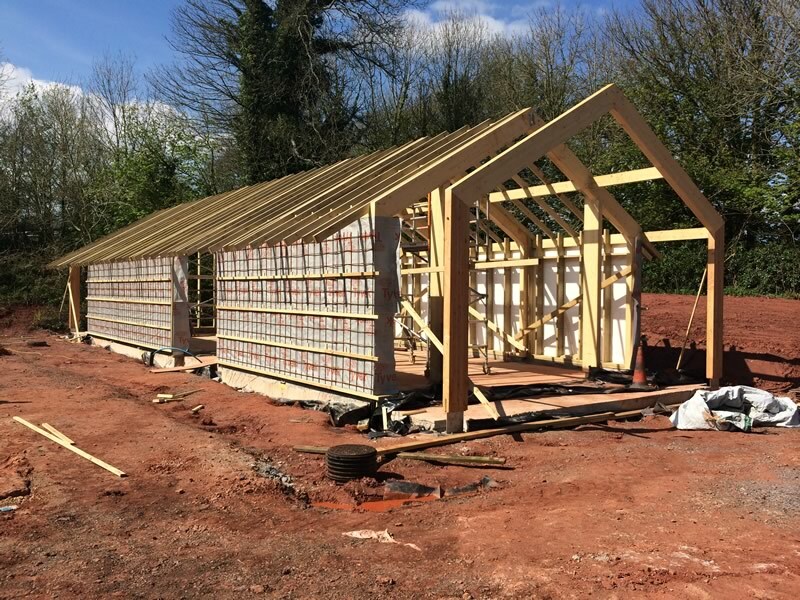 These classes are linked to the target strength classes of the glulam itself, and during the grading process, any potential defects can be removed whilst the required lamination lengths are then completed by finger jointing. This finger jointing is controlled and governed by standards that also include the adhesives used and the quality assurance procedures such as clamping, end pressures and cutter profile tolerances. Normal sizes available range from 140mm x 140mm up to 630mm x 160mm. In portal frames and similar roof components “large finger joints,” are also used, these large finger joints are cut in material already formed into glulam, enabling sharp-cornered junctions to be achieved. Curved laminations for structural glulam are bent cold, the curved members require thinner laminations, whose thickness is dictated by the radii of curvature. Finally a light-duty spray coat is usually applied to completed members, helping to guard against marking and surface mould staining prior to construction. The glulams are wrapped for transportation with material that diffuses moisture, so that condensation does not build up within the packaging. Glulams are normally brought into stock for specific orders so their normal delivery time is 5-7 working days.